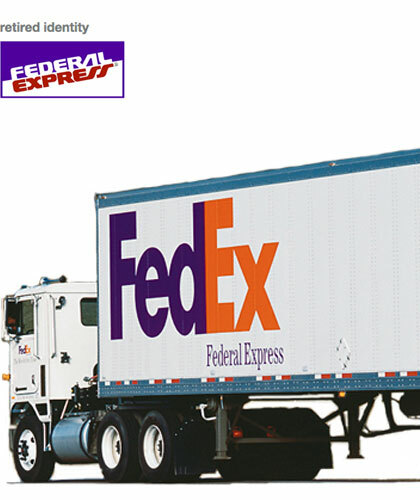 Federal Express Corporation invented the overnight shipping business in 1973. At the time, the market was one-dimensional: One country (USA), one package type (letter), one delivery time (10:30 am). By 1992, Federal Express had added new services and was shipping packages and freight to 186 countries. Further, a proliferation of competitors offering similar services created the perception of a commodity industry driven by price. The most expensive, Federal Express was losing market share. A global research study revealed that customers were unaware of Federal Express’ global scope and full-service capabilities, believing that the company shipped only overnight and only within the United States. Federal Express was advised to better communicate the breadth of its services and to leverage one of its most valuable assets—the FedEx brand. The bold FedEx identity conveys the dynamic attributes that maintain FedEx leadership. The system allows for better consistency and greater impact in an array of applications ranging from packages and drop boxes to vehicles, aircraft, customer service centers and uniforms.